Local Natives is a relatively new indie rock band based out of Los Angeles, California. Their first album, Gorilla Manor, was released February 2009 and had lots of positive reception. This quartet's style flirts on the boundaries of indie rock and psychedelic folk, which makes for interesting sounds. Incorporating interesting yet energetic drumming and catchy guitar hooks, Local Natives have been able to attract a good number of fans in a short period of time. A few days ago, they released "Breakers", which is off of their upcoming album Humming Bird due for release January 29, 2013. "Breakers" is the first official sneak-peek Local Natives have given us of the work and direction they have been working on. From the first minute of the track, you'll notice that they haven't deviated too much from their original sounds. The tune has plenty of snare drum rolls, delicious guitaring, and plenty of energy from the vocals. If you are a Local Native fan, this track will not disappoint. 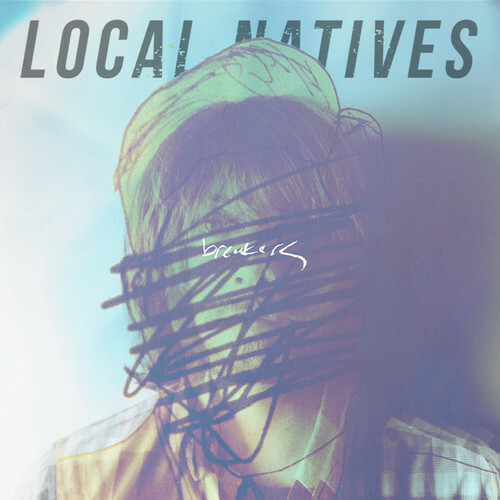 And if you have no idea who Local Natives is, "Breakers" is a great tune to get yourself started. alt-J builds the anticipation with "Every Other Freckle"